Consumers are fundamentally changing how they define and use their living spaces in both the home and in the hotel environment. GROHE has identified five mega trends as consumers have risen from passive consumption to taking control over the creation of new living spaces and have become creators themselves in seeking simplicity and intelligent product solutions. Today, more than ever, product innovation and design depend on an empathetic understanding of these trends as consumers are inclined to choose integrated solutions over single products. 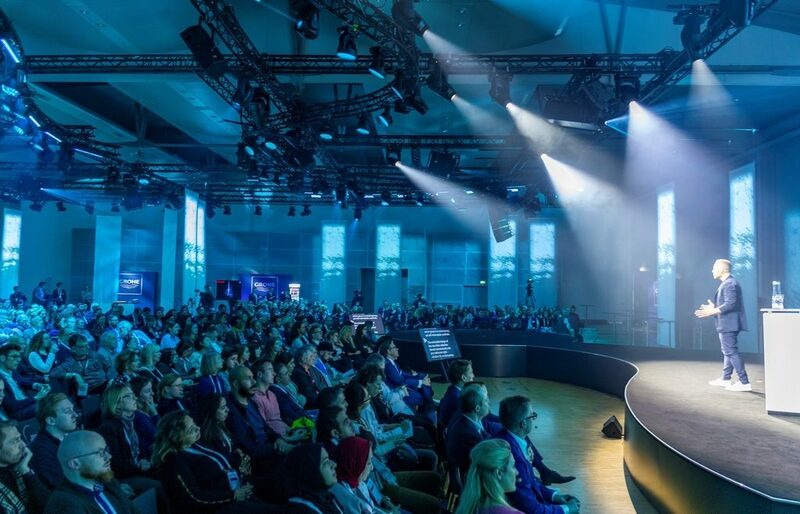 GROHE gave an impressive account of its journey in reflecting the five mega trends in its offering to consumers and customers during its keynote event at the start of the ISH trade fair in Frankfurt, Germany. With a record number of 500 single new products GROHE surprised its customers and consumers with solutions that actively shape the future of water. The boundaries between the individual living areas are becoming more blurred. The kitchen is often part of the living room, the bathroom opens up to the bedroom and both are becoming important living spaces instead of purely functional ones. When designing their own living space, consumers pay much more attention to detail in the bathroom and the kitchen than ever before. Consequently, bathroom and kitchen products have become household furnishings that allow consumers to express their individual style and preferences. As the first European leading sanitary brand to launch 3D metal-printed faucets, GROHE breaks with the old principle of form following function and combines cutting-edge technology with spectacular design. It is an impressive statement of GROHE’s willingness and ability to shape the future of water and accompany its customers and consumers on their journey to create the living spaces they desire. “Consumer expectations are changing to a great extent”, said Rauterkus, as he delivered his keynote speech in front of 350 international journalists and invited guests. “GROHE is shaping the future of water, in terms of design and innovation, both analogue and digital, giving our customers and our consumers the building blocks they need to harness the power and the beauty of water – as a tailored experience wherever they enjoy water.” Whilst new living spaces evolve around the bathroom and the kitchen, consumers are often confronted with an unwanted complexity in the creation process. The search for simplicity in terms of easy and intuitive solutions is met with a new minimalism to people’s homes. GROHE clearly positioned itself as a leading global brand for complete bathroom solutions, supporting consumers in becoming creators without having to deal with complexity. Its products combine quality with a stunning range of colors and materials: from faucets, showers and ceramics, to kitchen faucets, sinks, accessories and flush plates. “Nobody else offers, across the whole product range, the quality and durability in so many colors that bathrooms and kitchens require”, emphasised Rauterkus. Essence, GROHE’s newly introduced and first ceramic line that includes bathtubs, is a perfect showcase of the new minimalism and search for simplicity, showing beauty in its purest form. The design line’s characteristics are its gentle organic forms that are based on their reduction to the essentials. 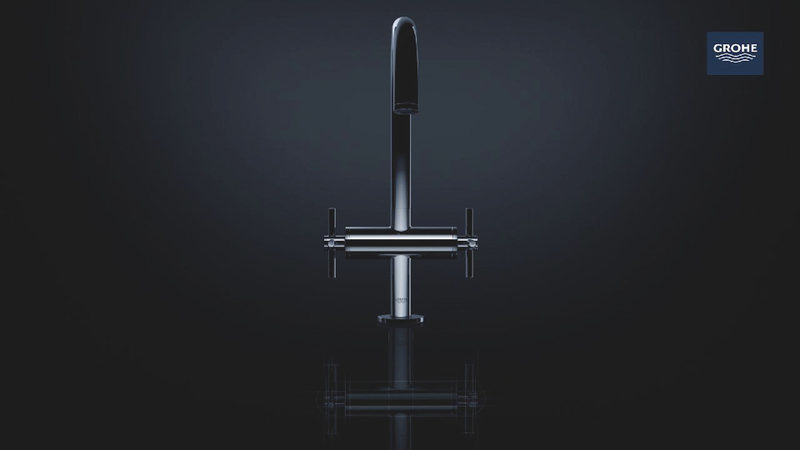 But minimalism by GROHE goes far beyond design, it means also the intuitive handling and easy installation of products. The new GROHE Rapido SmartBox provides architects, planners and installers with an infinite number of possible solutions with just one concealed installation solution: For maximum efficiency and planning flexibility, the concealed installation can be combined not only with the innovative shower system GROHE SmartControl but also with thermostats and single-lever mixers, offering a universal solution for all requirements. At ISH two years ago, GROHE launched its first Internet of Things (IoT) solution, GROHE Sense and GROHE Sense Guard. Today, GROHE is pioneering digitisation in the sanitary industry and extends its competence well beyond sanitary hardware solutions. At the ISH 2019 keynote, GROHE announced a new generation of GROHE Sense water sensors and the launch of GROHE Sense Guard Pro, which is optimised for use in multi-family homes and high-rise residential buildings. Installed on both the cold and hot water pipes, it offers water security and provides accurate water consumption data directly onto mobile devices via the GROHE Sense App. This also means that there is full visibility of water and energy consumption, allowing consumers to take control. Moreover, with the combination GROHE Sense Guard and Sense Guard Pro, the global brand is now able to help prevent water damage in 90 percent of the residential market. The GROHE Sense system has created a disruptive new business model for GROHE as well as for installers and new business partners such as insurance and property management companies. “We are creating an intelligent platform, the biggest ecosystem for water security and water management, which will allow our industry partners worldwide, such as insurance companies, to implement new business models”, said Rauterkus. Overall GROHE introduced a record number of innovations and more than 500 single new products that address the five mega trends ‘new living spaces’, ‘consumers become creators’, ‘simplicity seekers – the search for simplicity’, ‘taking control’, and ‘intelligent life management’. It is the biggest innovation push of GROHE so far – tailored to the needs of consumers as well as professional partners such as architects, installers, insurers and smart home experts. “As GROHE stands for Water, Intelligence, and Enjoyment, we are creating intelligent water solutions that transform lives for the better”, highlighted Michael Rauterkus. “Most importantly, we are transforming the experience of water itself”. GROHE is one of our recommended suppliers. To keep up to date with their news, click here. And, if you are interested in becoming one of our recommended suppliers, click here. Morgan’s Pimlico collection began as a side chair with a small footprint, and has since developed to include a variety of size options and high-backs. 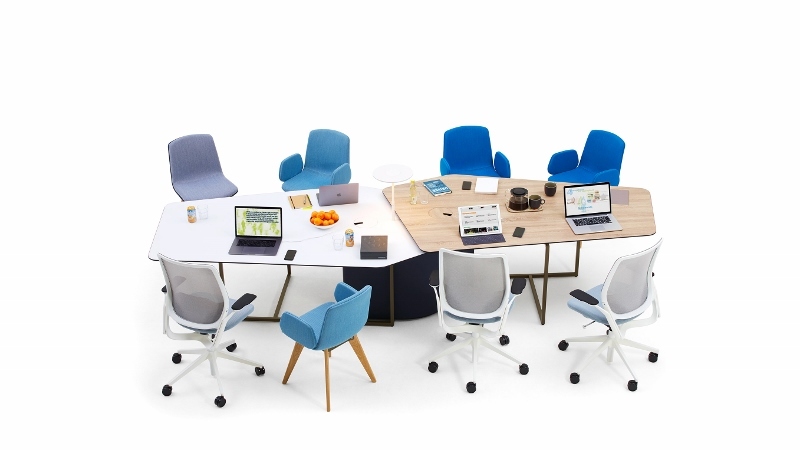 With smooth curved lines and a unique oval seat pad, the expanded collection offers further possibilities and interior solutions; creating a cohesive collection suited to both workplace and hospitality interiors. Morgan Pimlico 142 High-back Lounge Chairs. Fully upholstered for maximum comport, Pimlico succeeds in offering a look, which is youthful as well as being timeless and elegant. 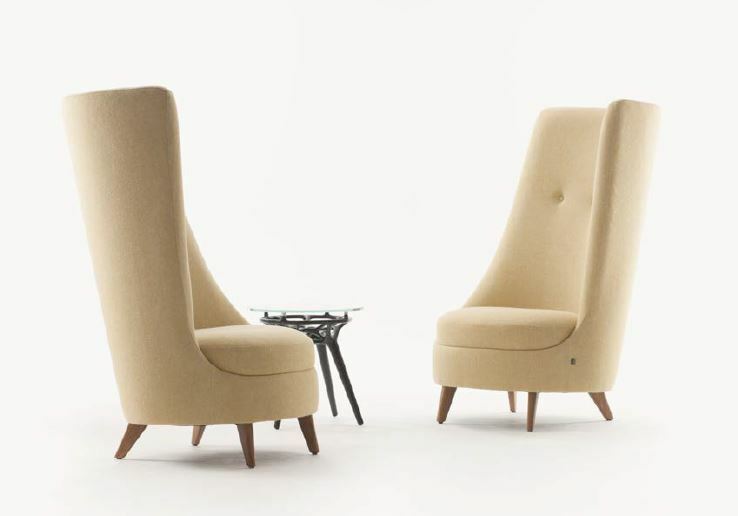 The dramatic high back booth sofa and lounge chairs act as a statement piece, whilst also offering a practical acoustic solution for private working and relaxation. 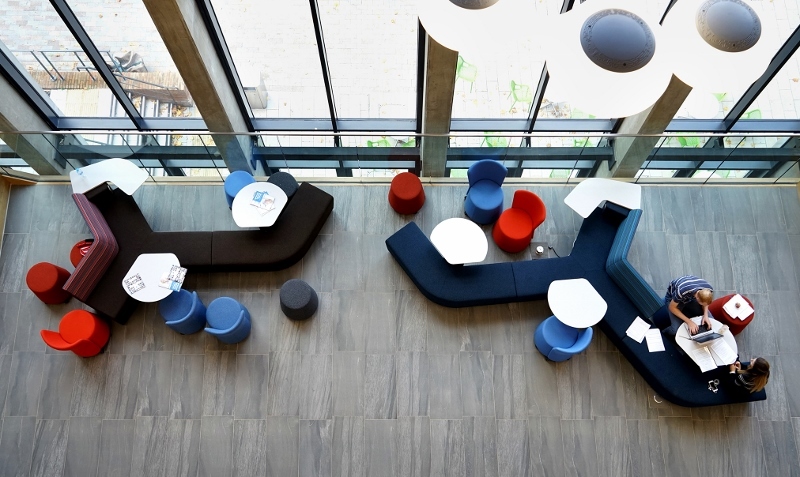 Alongside these products, the collection includes a number of low back options including a luxuriously deep sofa, a higher sit banquette sofa, lounge chairs and dining/meeting chairs. To view these new collections please visit the Morgan showroom at 1 Dallington Street, ECV1 0BH. Morgan Furniture are one of our recommended suppliers. To keep up to date with their news, click here. And, if you are interested in becoming one of our recommended suppliers, click here. Heritage Bathrooms has launched a search for Britain’s best boutique bathroom spaces and is s calling on boutique hotels and luxury rental properties to submit their guest bathrooms for a chance to win a spot on its online Stylish Stays hub. Featuring a hand-drawn map and a water colour illustration of each hotel, designed by British designer and illustrator Eleanore Longhurst, the hub will feature on Heritage’s website, as well as being included in PR and social media campaigns – encouraging consumers to visit the gorgeous properties and experience a Heritage Bathroom during their stay. Properties wanting to be included in Heritage’s Stylish Stays hub will be in great company, with hotels including The Raeburn in Edinburgh, Alrewas Hayes in Staffs, and Harbour Lights in Cornwall just some of the locations already set to be included. The only requirement to secure a spot is for the property to feature Heritage products in their guest bathrooms. With 30 years of experience in bathroom product design, Heritage Bathrooms’ newly launched initiative will further celebrate striking hotel bathroom designs within the boutique hotel market. Heritage Bathrooms are one of our recommended suppliers. To keep up to date with their news, click here. And, if you are interested in becoming one of our recommended suppliers, click here.